When it comes to signage materials, there are plenty of options out there, however, vinyl is definitely one of the most popular. Vinyl signage has a lot to offer in terms of sustainability and affordability and is used commonly amongst most businesses and retail stores that range in all sizes. It’s now easier than ever to get a high-quality finish on graphics and signs printed on vinyl substrates; in the past, heat pressing was the only way to transfer designs across to banners and similar displays. With the advances of technology in the digital printing, graphics can simply be printed and applied directly to your vinyl sign creating a high quality and professional looking banner. It is now easier than ever to get a high-quality finish on signs or graphics that are printed on vinyl. Printing on vinyl is quick, easy and delivers great value. Learn the top benefits of using vinyl for your business and printing needs. can you buy clomid over the counter in ireland Low Cost – Vinyl banners are highly affordable and immediately enhances the overall look of any business, storefront, important announcements, etc. Vinyl banners will make your company more appealing. We recommend printing banners in full color to attract the most attention for your business or event. Durability & Longevity – If your sign or banner is going to be outside whether it is in the sun, wind or rain a vinyl sign is resistant to these conditions. Vinyl is very durable as we use an in-house large format vinyl printer and use UV resistant ink to print on the sign so we can safely safeguard your sign for any conditions. Modern and Useful For All Events. Banners and signs add a contemporary look and feel to any office, event or store. Adhesive vinyl signs that are printed on our custom large format printer can be used not only on the exterior but interior walls as well. 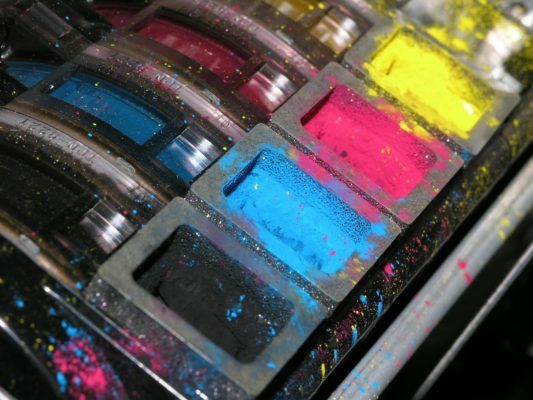 Florida Graphic Services offers superior digital printing, equipment, performance and reliable services. Using friendly technology and advanced wide-format printers integrated with other inkjet printers with a wide range of offerings that perfectly suit the needs of any custom printing job imaginable. Contact the experts at Florida Graphic Services to speak with an expert before your next big event or for more signage options. Learn more today!